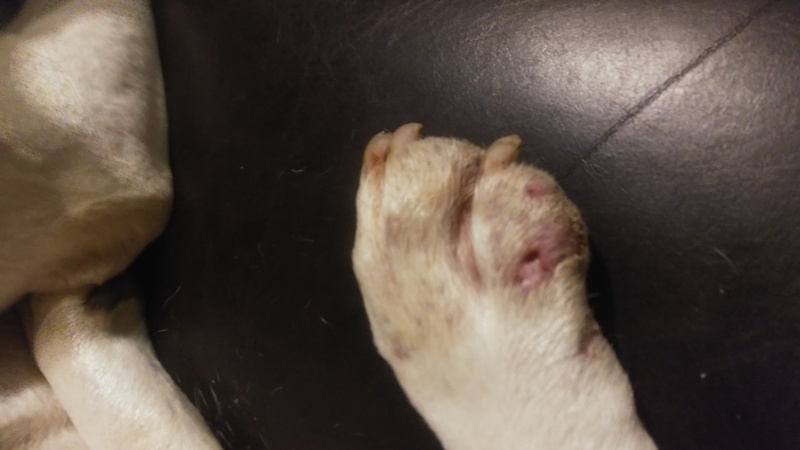 My dog constantly licks her paws hair is off in small patches and now no see a hole in the top of her paw its pink and no fur around this. What happened and what do I do? Thank you for the photo. I can see the problem. Does your dog go outside in long grass areas? Ok. I i am not sure what the problem is. I will opt out to allow other vets to provide their opinion. Dog has black scab on her paw that she keeps licking. What can I do?